A revolutionary new design, the Cleito's new coil design frees up even more restriction in the airflow by eliminating the need for a static chimney within the tank itself. What this means is there is nothing between you and the coil as it were, and therefore flavour production is better than ever and the airflow is immense, truly wide open, with three cyclops style slots in the airflow ring at the base of the tank. The results will are a vastly expanded flavour profile and plenty vapor. Coupled with Aspire's new Clapton coils for the Cleito, the focus of this tank is clearly the best vapour and flavour production yet for a top filling sub Ohm tank set up. 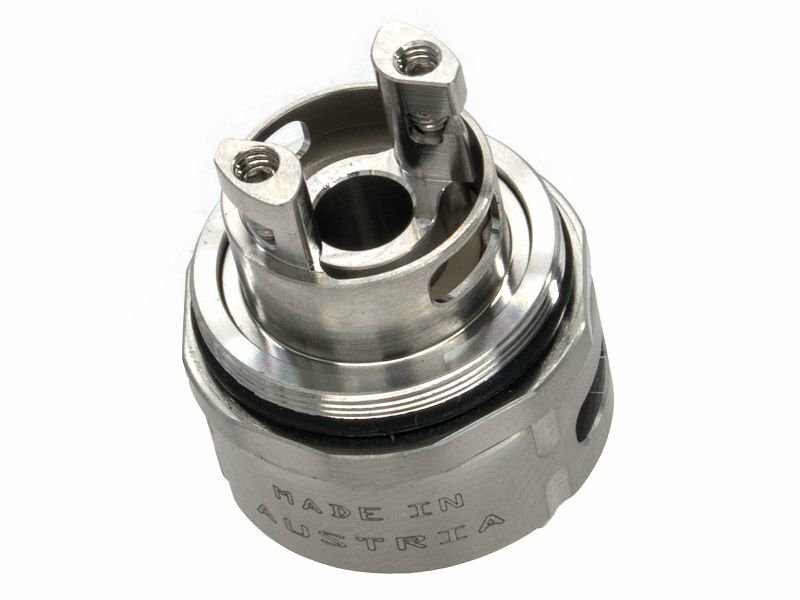 Constructed from stainless steel and pyrex glass, the Cleito comes with a Delrin drip tip, made of imported food grade Delrin, and whilst the drip tip is not completely removable, it is compatible with other 510 drip tips.